As a UX designer whose education is in psychology, visual design, and technology, Evan enjoys solving problems to address user needs and enhance their experience by creating engaging interactive elements that delight people. Evan serves as an advocate for the benefits of taking the time that is necessary to do good design and think through the usability and accessibility of native apps and Web applications. He has worked as a UI designer and interaction designer as part of UX teams at a variety of organizations such as The Vanguard Group, Project Management Institute, Deloitte, and Expensewatch.com. Starting his career in visual design, Evan worked as an independent UI design and UX design consultant. 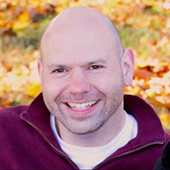 He also served as a research assistant in the early days of online personalization and marketing as a Psychology undergrad at the Smeal College of Business at Penn State University.